Ken Buck is a U.S. Representative for Colorado’s 4th District. Buck was first elected in 2014. He has opposed national monument declarations, reauthorization of the Land and Water Conservation Fund reauthorization, limiting public land transfers, preserving sage grouse habitat, and limiting methane pollution. U.S. Representative Ken Buck Buck Opposes National Monument Declarations. U.S. Representative Ken Buck Buck Opposes Reauthorizing the Land and Water Conservation Fund (LCWF). U.S. Representative Ken Buck Buck Opposes Limiting Public Land Transfers. 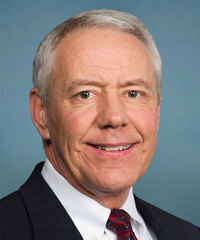 U.S. Representative Ken Buck Buck Opposes Preserving Sage Grouse Habitat. U.S. Representative Ken Buck Buck Opposes Efforts to Limit Methane Pollution.